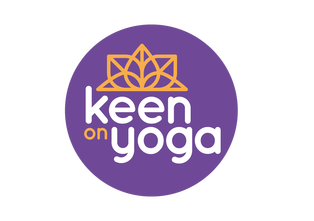 Instructions given throughout Keen On Yoga classes are intended as guidance only. Understand that while all due care will be taken by the instructor, they cannot be responsible for my improper practice at any time. To ensure that no personal injury occurs, you must agree to adjust your practice according to your limitations and the decision to perform any yoga postures remains yours. You must take full responsibility for yourself during the classes. You must notify your instructor before each class begins of any recent injury, illness, surgery or pregnancy. Once your course is confirmed, there are no refunds under any circumstances. Credits for classes in future courses will only be issued in extreme circumstances. Where participants are unable to attend the remainder of the course due to sickness, illness, or injury, or other unforeseen circumstances, credit for the remaining classes will be provided for classes in the next course from the date of a letter to Keenonyoga, detailing your condition, the amount of classes remaining and the amount to credit. Classes for courses must be completed within the scheduled course. You may transfer your place to another person upon notification to Keen On Yoga. By purchasing of classes via this web site you agree to your name and email address being added to our Newsletter subscriber list. You can unsubscribe at any time via the link at the bottom of every Newsletter.